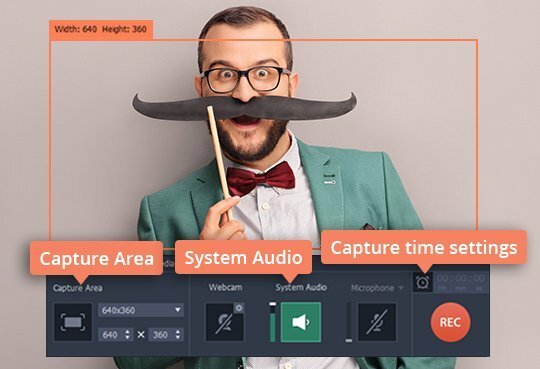 DownloadDownload Movavi Screen Recorder. Run the installation file for the program and follow the on-screen instructions. The program will launch automatically at the end of the installation. 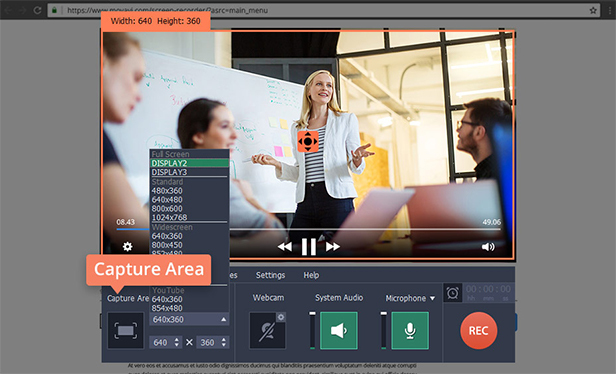 Adjust the recording area by drawing a frame around the video you want to capture. 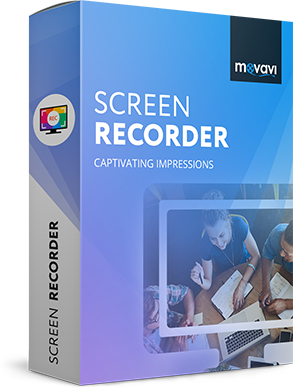 Movavi Screen recorder includes ready-made frames as well, so you can also choose a preset frame from the Capture Area list. To rip a video, click the Rec button. The process of recording starts after a three-second countdown. 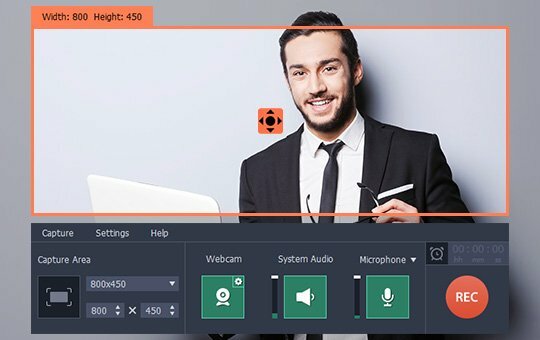 End the recording by hitting the Stop button. Hotkeys will help you to control the recording. Press F9 to pause/resume and F10 to stop. 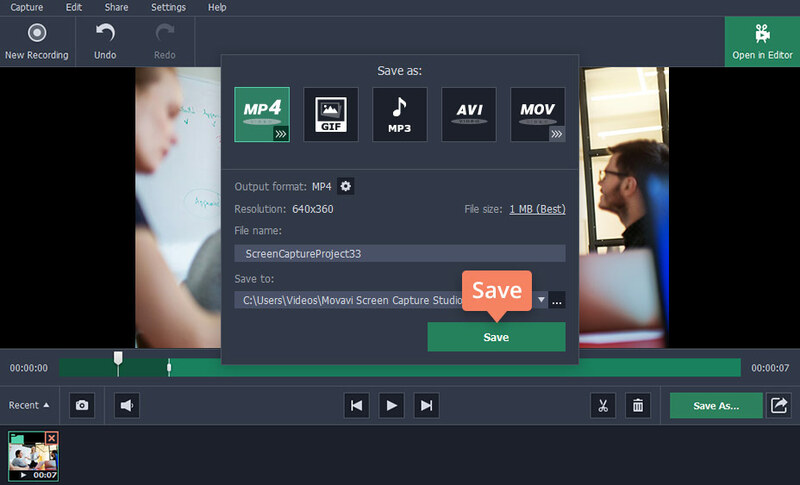 Your video will be automatically saved to your hard drive in MKV and opened in preview mode. 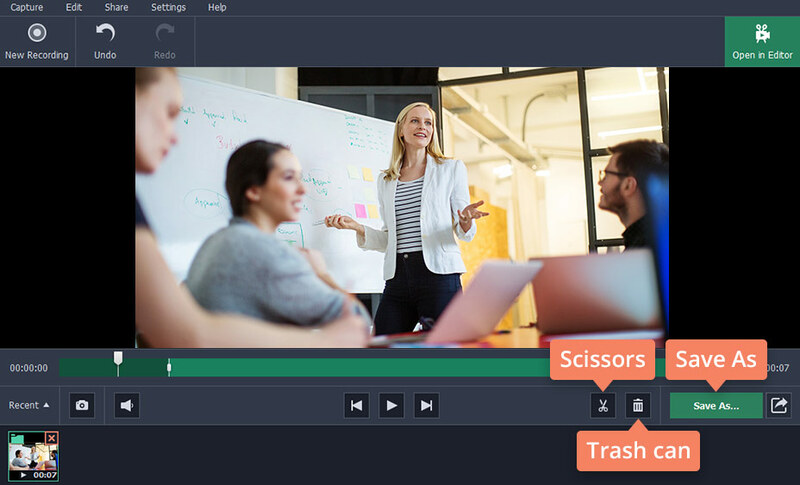 You can trim unwanted footage in the preview window. Use the Scissors tool to do this. Place the marker at the beginning of a segment, choose the Scissors, and mark the end point of the unwanted segment. Hit the Trash Can icon to delete the marked segment. Use the Save As button to select a format and save the changes. 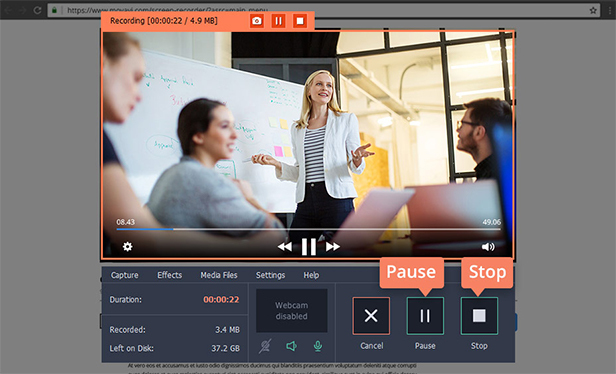 How to download a streaming video? 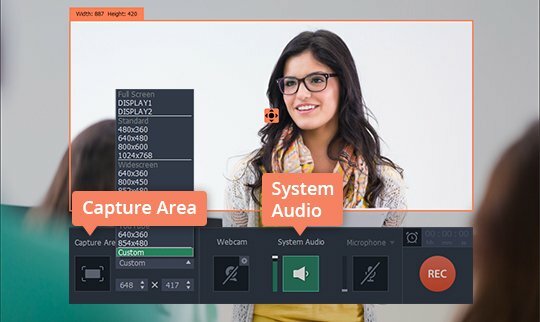 How to capture videos from your PC screen in Windows 7? 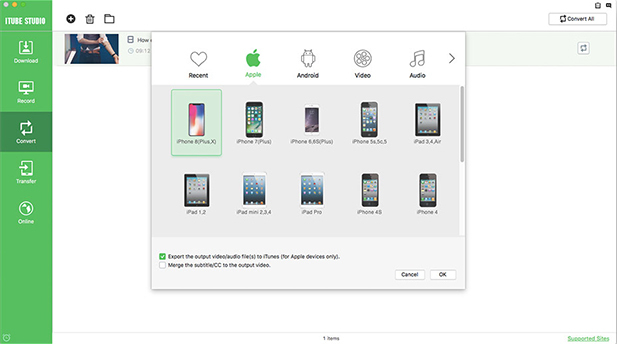 How to download podcasts to PC? 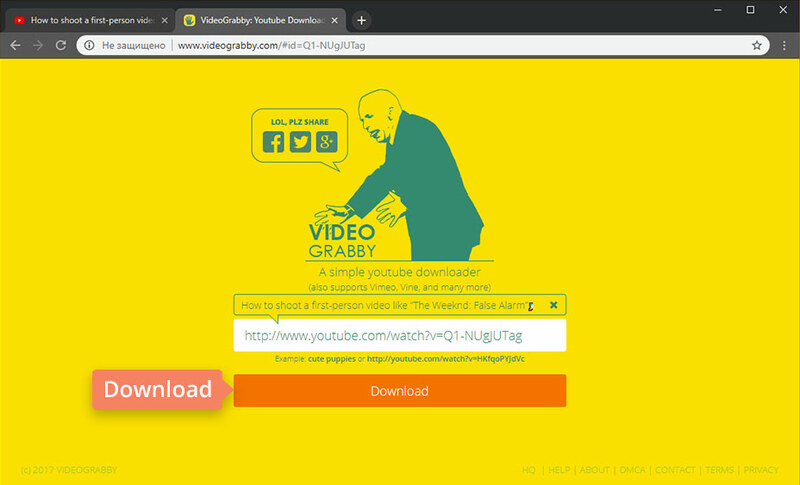 To download videos from a website, go to VideoGrabby.com and click on the search bar. 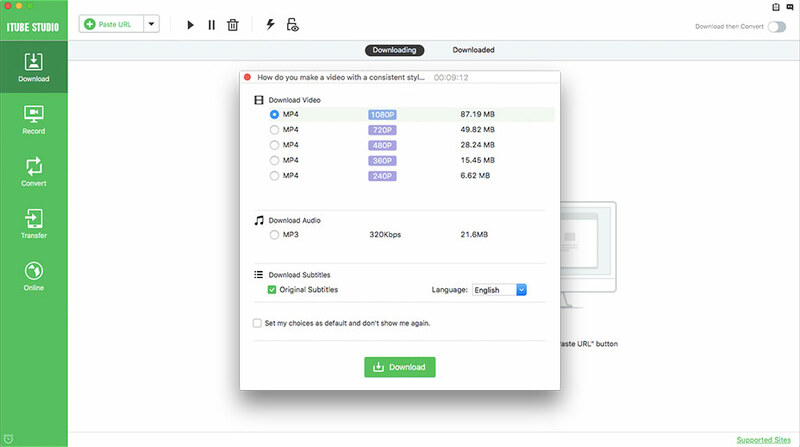 Find the video you want to download. 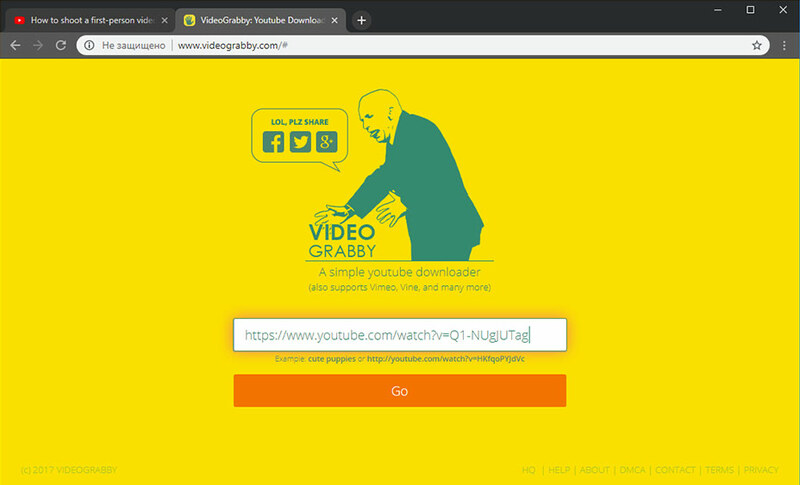 Video Grabby supports YouTube, Vimeo, Vine, and other hostings. Copy the video’s URL from the address bar on the top of your browser. 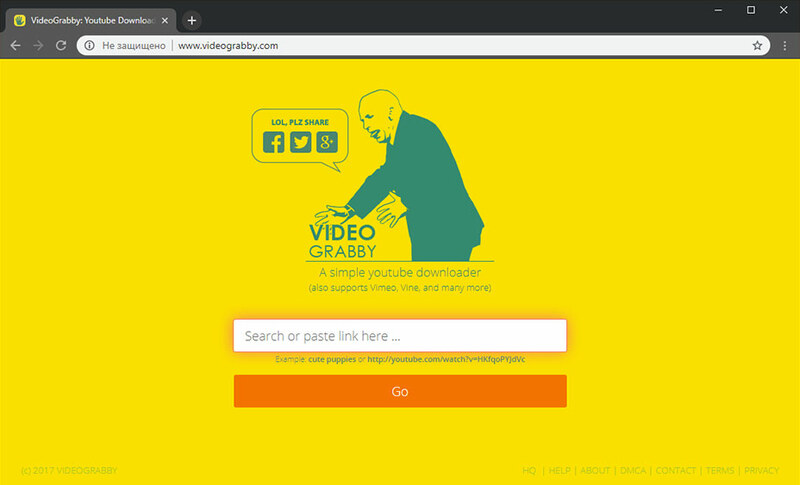 Go back to VideoGrabby and paste the video’s URL. Press the Download button under the search bar. . The program will grab the video from the website. 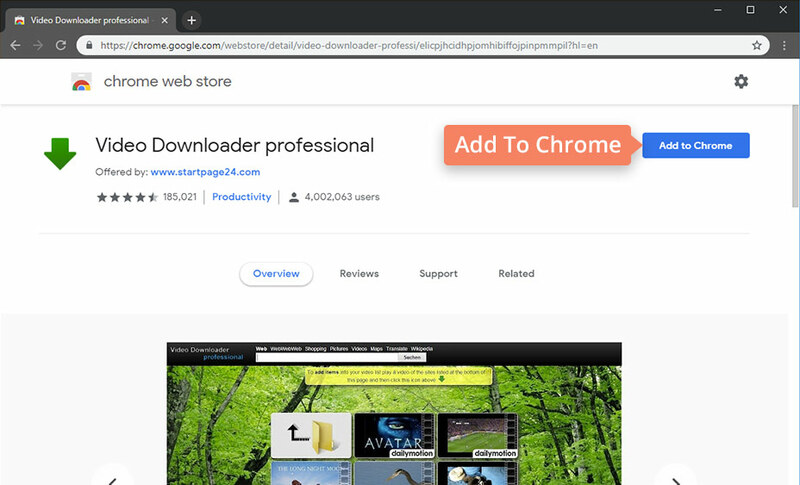 To download the Video Downloader Professional, visit the Chrome Web Store. Click the Add to Chrome button in the top right corner of the page. You will see a small popup on your screen. Click Add Extension. The installation takes less than a minute. Restart your browser to complete the installation process. Open the site with the videos you want to download. 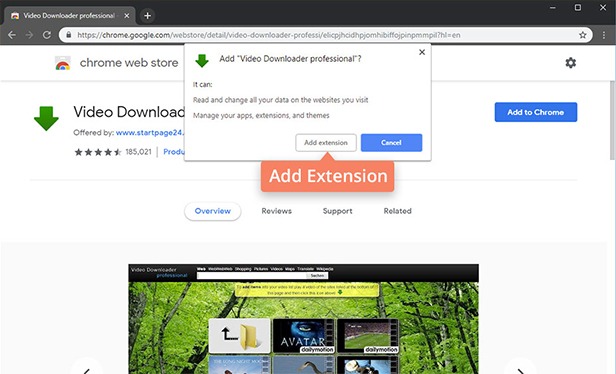 Google does not support extensions to download YouTube videos, but you can pull videos from other video hosting platforms. Video Downloader Professional detects any videos on the site automatically. 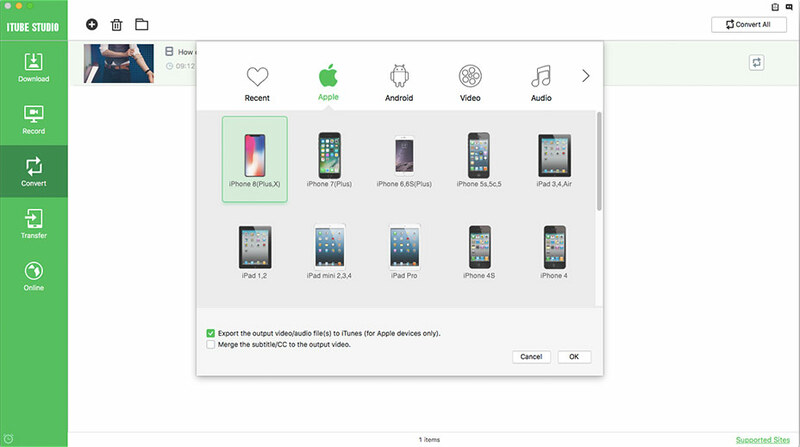 To copy the video from the site, click the app icon (green arrow). 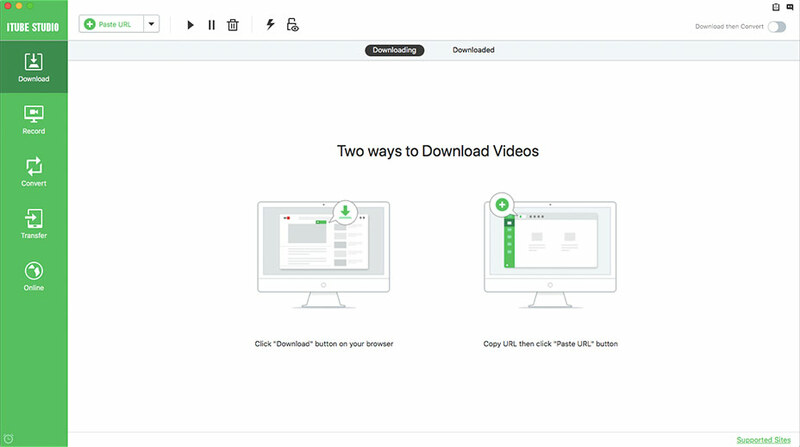 The video download will automatically be saved to your Downloads folder, but you can choose a different folder if you wish to. Download the program from the official iTube Studio site. Double-click the downloaded file or right-click and select Open. Follow the instructions and drag the program icon to the Applications folder. Open the program. Copy the URL of the video you want to download. To find the video, add the URL to the search bar in the program window and select the desired quality from the list of suggestions. 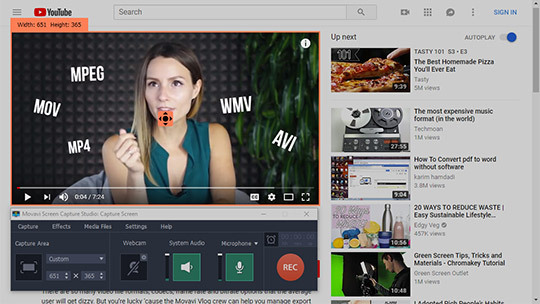 The iTube software lets you download videos from websites directly from your browser. Open the Online tab and choose the site from the list that appears. 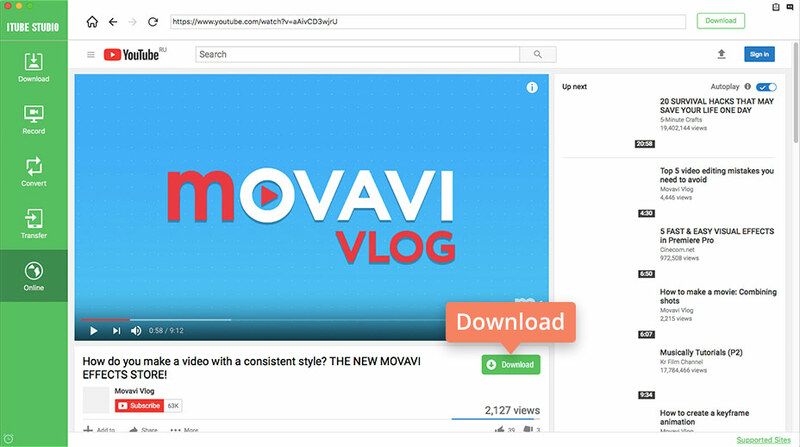 Open the video you want to rip and click the Download button. Convert your recordings to a different format if you wish. Open the Convert tab and choose your desired format from the popup window.